HydraPak maintains and distributes one of the largest stock of fluid power products in North America, offering all the necessary components for custom hydraulic and pneumatic applications. Established in 1976, HydraPak believes that superior products and unparalleled service are the foundation of effective business. We purchase quality inventory and meet stringent industry standards to provide the best available products. In an evolving market, we adopt best practices to stay on the edge of technology and give you the advantage of competitive pricing in the high-tech, industrial, and medical marketplace. 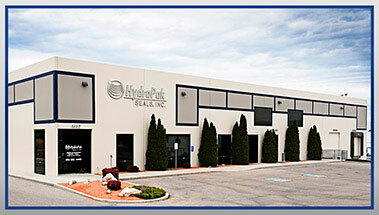 Our sales/engineering team, along with our multi-million-part inventory, truly sets HydraPak apart. We deliver same-day service on standard products, as well as a quick 2-3 day turnaround on most non-stock items. Manufacturing customized seal profiles to meet your needs, our technicians can offer solutions to even the most difficult seal challenges. Complete customer satisfaction is our goal. Customer service at HydraPak hinges on our professional and consistent staff. Our team is tenured in the industry and can guarantee a reliable, informed contact every time you call. We believe that clients are satisfied when their concerns and needs are met in a professional way. We value your feedback, as well any questions or problems, because it improves our service.